Initiate excitement and awareness about your event by promoting with Modern Dance Black Flyers. 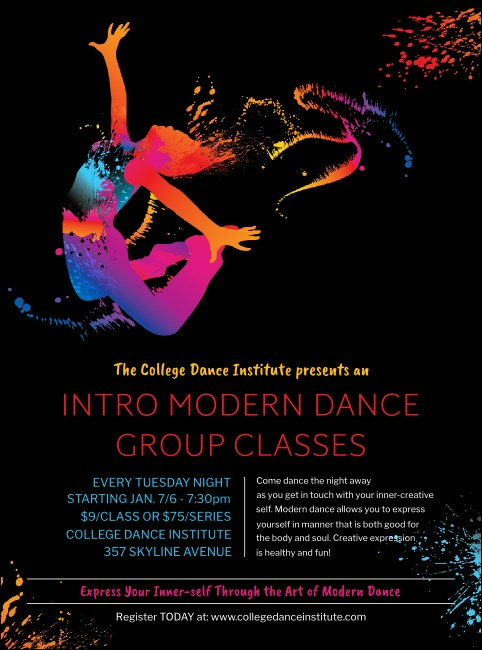 These Flyer templates have an elegant black background that contrasts with a posing dancer in vivid neon. The wild colors simulate the raw emotion that can only be expressed through modern dance. Control your movement with Event Kits from TicketPrinting.com.